There’s been a lot of buzz around blockchain payments recently, thanks in large part to Bitcoin. However, blockchain technology isn’t just about using digital currencies for exchange. 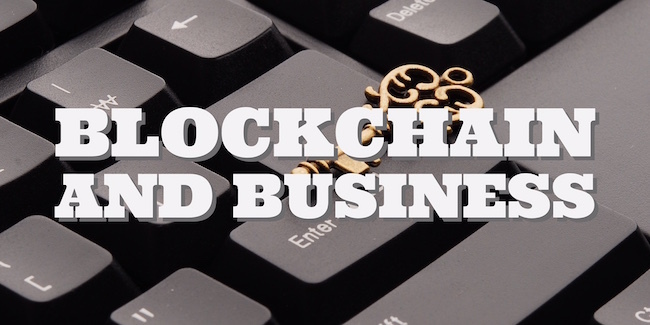 There are other ways that blockchain could change the way we do business. Yes, one of the biggest and earliest changes to the system could potentially be in finance. Digital wallets are becoming more popular, and blockchain can cut out the middleman. Your business can benefit from exchanges using blockchain. You don’t need to worry about going through clearinghouses or currency exchanges. With blockchain, you can complete the transaction with your customer, anywhere in the world, without huge costs. The cost of using blockchain is very tiny when compared with exchange fees and payment processing fees. The internet makes it easier than ever to share information and get your innovations and creations out there. However, it also makes it easier than ever for someone else to steal your ideas. Blockchain technology can be applied in this area to help you prove ownership over a piece of intellectual property and ensure that you are properly credited (and compensated). The use of this technology can help reduce the way others profit from your creativity. One of the coolest business applications of blockchain is in the area of “smart contracts.” American Banker points out that this technology could help ensure that both sides of a contract are fulfilled. Thanks to the computer code, transactions could be monitored, enforced, and recorded in the public ledger. It’s a way to make sure that you don’t end up getting messed over in your business dealings. I remember how thrilled I was when I realized that a digital signature could be used in my business dealings. No more printing, signing, and faxing back. When I refinanced my home a few years ago, I was able to complete most of the paperwork online. Blockchain allows for the use of cryptographic signatures takes this to the next level. Due to the cryptography involved, you can be sure of the source of the unique signature. It can work for sending and receiving shipments, managing shift changes, and a number of other business-related and supply-chain-related transactions. You can even use the blockchain to keep track of coupons and other promotions you’re running. The nature of the blockchain is that the information can’t be duplicated and used again. If you are concerned about coupons and promo codes, you can authenticate them with the help of blockchain to ensure that your customers are using them. It’s a good way to track and manage limited items. The blockchain isn’t just about Bitcoin. There are a number of secure transactions that take place in business that can be accomplished with the help of this technology. Keep an eye on the future; you might be surprised at what you see.